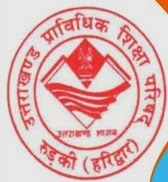 Uttarakhand Board of Technical Education Dehradun has issued notificationfor the recruitment to the post of 3091 Asst Teacher in various Subjects. Interested Candidates can send their applications in prescribed application format on or before 31st March, 2014. The educational qualification, age limit, application fee and Address for the form submission is mentioned below. Educational Qualification : Candidates should have done Graduation in concerned Subject with B.Ed or equivalent & qualify in CTET-2 or UTET-2. Age Limit : Candidates age should be between 21 years to 40 years as on 01.01.2014. Relaxation in upper age limit will be applicable as per govt norms. Click here to get the Recruitment Advertisement.